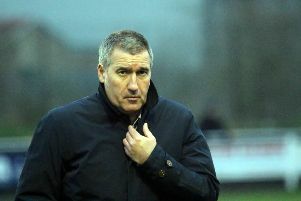 Banbury United boss Mike Ford is itching to get back on the training ground. That seems unlikely given his side’s hectic November schedule but Ford knows there is much work to be done with his young players. He said: “I need to get back on the training ground with my players but I’m not going to have much chance again this month with midweek fixtures. “We’re a team which is in mid-table and we’ve got a lot of work to do to become a top five team. There was probably too much expectation on us this time because of what we did last season. “We may be in a different division next season with the new structure which could be an easier one. We’re not in the top group and we may not get to that level this season but young players need a lot of time.